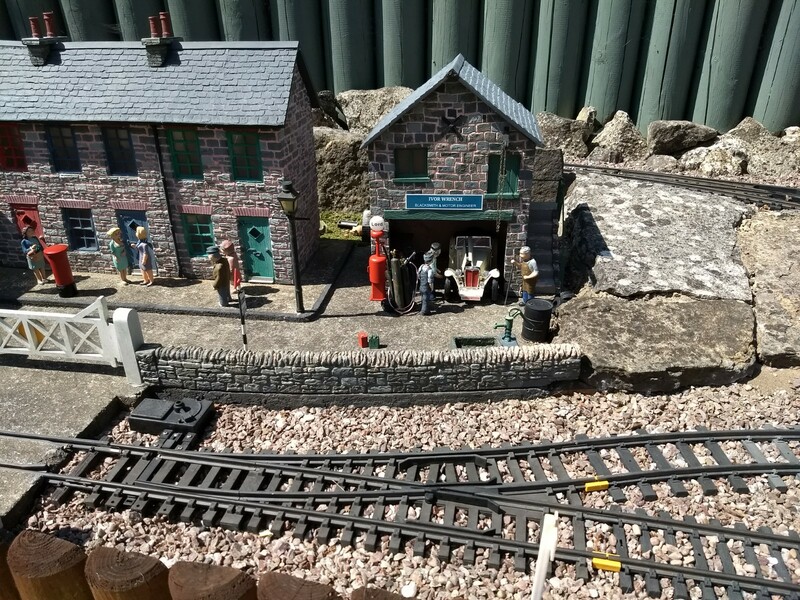 We spent a lovely morning at Peter Lord’s G-guage “Shreen” garden railway on Tuesday 10th july. The timing of which proved to be an inspired move considering the unbelievable hot weather, which has become too much in the afternoons. Carol must be thanked for her provision of sausage rolls, cakes and drinks which she provided, most welcome! 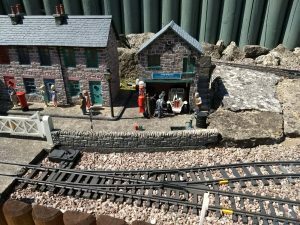 Since last year Peter has produced some additions to his layout with the introduction of a “Mere textiles factory; which has been scratch built. The addition of his new 040 diesel engine can be seen in front of the factory in the picture below. 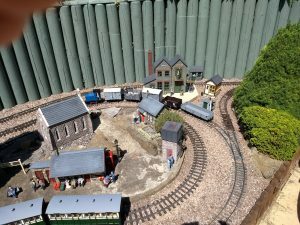 Thanks to all those who attended brining a great variety of locos and rolling stock to be displayed. This was a delightful morning enjoyed by all.